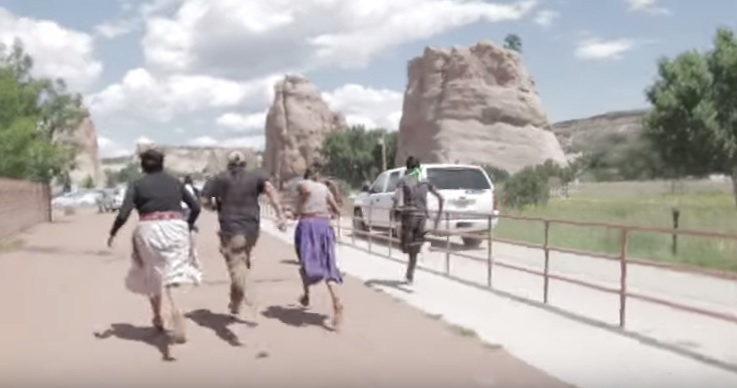 Navajo Indian activists chased Sen. John McCain off the Navajo Nation on Friday. A group of Animus activists chased McCain’s vehicle as he left the reservation. 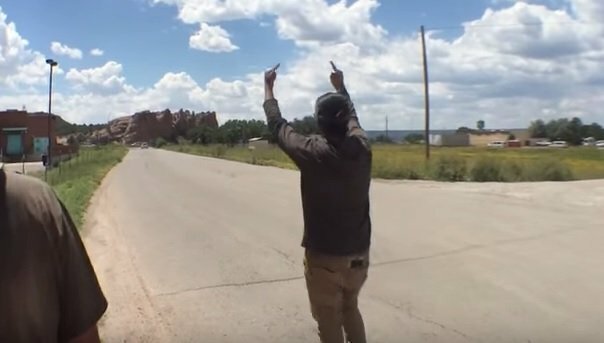 They were protesting the EPA’s Gold King Mine spill. A group of activists voiced their frustrations about the Gold King Mine spill by protesting during Republican U.S. Sen. John McCain’s visit to the Navajo Nation Friday. The Navajo Nation is still being advised to refrain from using river water for irrigation and livestock since the EPA is conducting tests in the San Juan River. The Animas River has reopened in Durango and San Juan County—nearly two week after workers contracted by the EPA accidentally spilled more than 3 million gallons of contaminated waste into the river near Silverton, Colorado. The demonstrators staged a sit-in during McCain’s appearance in Window Rock to pay tribute to Navajo Code Talkers. When the group realized McCain was leaving, they chased the cars off the property and tried to follow them to the airport. “Senator McCain took off and returned home with Governor Ducey exactly as scheduled, and he certainly wasn’t “chased off” the reservation. This small group of young protesters had no impact on his productive meetings with top tribal leaders on a range of key issues, including the EPA’s recent Gold King Mine spill which threatens to contaminate the Navajo Nation’s water supply. The activists were not happy with the senator.